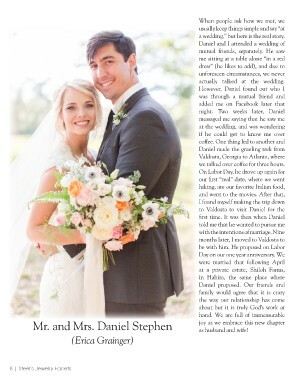 (Erica Grainger)  a wedding,” but here is the real story. actually talked at the wedding. we talked over coffee for three hours.